The release by Lamp Mode Recordings of the 'Braille' album by Missouri-born rapper Json is the latest creative triumph for an emcee whose five albums have received considerable critical acclaim and been a platform for a maturing Christian faith. Jason 'Json' Watson was born and raised on the northside of St Louis, Missouri. His upbringing was extremely troubled. His mother tried to bring him up alone but her addiction to drugs led to the teenager looking for attention on St Louis' mean streets. Sucked into drug and alcohol abuse and violence, at 15 he lost his best friend, Gaylon, and a year later Jason was kicked out of school. He became a member of a local gang and served jail time and at age 18 he was incarcerated for several months. It was while in prison he had a dramatic encounter with God. On release old habits continued to weigh Jason down until at the age of 19 he met LaWanda Childress, who was to become his wife. Turning his life over to Christ, he immersed himself in the teachings of the Bible and started what was in time to become a full time ministry as a gospel rapper. Over the next few years Json began appearing on other rappers' albums until in 2005 he released the acclaimed 'The Seasoning' album. 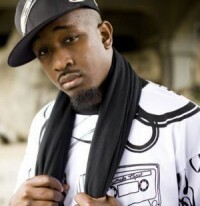 Produced by Cross Movement's JR, Nab from So Hot Productions and soon-to-be gospel rap superstar Lecrae, 'The Seasoning' also featured guest appearances from Flame and Chozyn. Three years later the rapper signed with Lamp Mode Recordings and released the 'Life On Life' project. A reviewer for NewReleaseTuesday was eventually to call the project "one of the greatest albums to ever grace the Christian rap scene." Two years later Lamp Mode released 'City Lights'. Again, it showed the rapper's versatility with "Peep Hole" being called by one critic "a genuine banger" and two tracks, "Goon" and "Love Like This", featuring Json trading raps with fellow emcee Thi'sl. "The larger aspect is based on Hebrews 11:1, which says, 'Faith is the substance of things hoped for and the conviction of things not seen.' Our faith is similar to braille in that it goes behind what our eyes can see. That 'conviction' is a feeling that comes as a result of the Spirit. It's something that's in your heart and arrests your heart. I want to encourage believers that we can look beyond what's in front of us. We have a hope that goes beyond what we see and that's the Lord Jesus Christ." How would the rapper say he has changed since he released his first project in 2005? "I have definitely matured because I am not as narrow on the way I see things. Artistically I think I have a broader view. On 'The Seasoning' I was still trying to find myself, and I still am to some degree. I didn't really know how to put together an album. 'The Seasoning' was rawer because [there were] certain things that I did not think about when making this album. I wasn't thinking about shows and album sales. I wasn't as steeped in the industry as I am now. That's a good and bad thing. I also have a broader taste for music." As well as big name guests Json projects often feature relatively unknown urban music talent. He commented, "I'm not the biggest artist and I don't have that big of a platform. For dudes and women that love Jesus, I want to give them my platform to build whatever it is they have going on. Lori is super talented as she works with Spec. She is also in a group called Confess And Be Free (CBF). Serg is a dude from Florida that I've been building with. He's a solo artist and in a group called Authentic. He wrote the hook and is featured on 'Passing'. He wrote a few other hooks on my album also. He's a dope writer and rapper; I just wanted to give people a chance to hear what he has going on. Although I can't do that with everybody, this has always been a burden of mine. Juliana Zorbrist is actually my pastor's daughter and I was just humbled to work with her." The emcee spoke about two of 'Braille''s standout tracks. "'Intoxicated' was one of those records where I had the concept. Often as Christians we look at the world and we get a whiff of what they have going on. Then we want it and that's intoxication. We see what they have and we know it's not good for us. We have all been guilty of partaking from time to time of those things that we should not partake in. Even though we know it's bad for us, it still feels good to us. I had the concept and then I met up with Spec and V.Rose. Together, we all had a hand in writing the hook. Lori came in and murdered the hook and she wrote the bridge. It just kind of came together. Shout out to Spec for producing it. "With 'Benjamin Button', I made a statement on another song where I said, 'You ain't growing up; you're just getting older.' I posted that statement on Instagram and my boy Alex Medina said, 'That sounds like a song to me, Benjamin Button.' That's what people do. They don't grow up and they act like children. It's one of those songs that people can relate to. I wrote it from the perspective of a dude and a perspective of a goal. It's just saying that they are still doing childish things. You are still running around selling dope or you don't have a job. You're Benjamin Button."